Home / News / YAKOV SILIN: "SPORT MEANS WILL, CHARACTER, AND AMBITIONS. 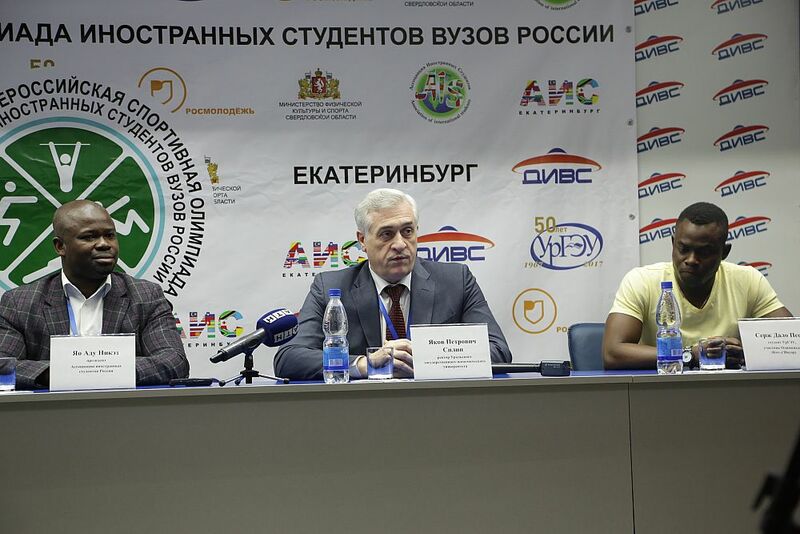 WE NEED SUCH PEOPLE "
The speakers included: Yakov Silin, USUE rector, Adu Yaw Nikez, president of the Association of International Students (ASI) in Russia, Serge Dalo Peguy, a USUE student from Côte-d'Ivoire, a member of the Olympiad. 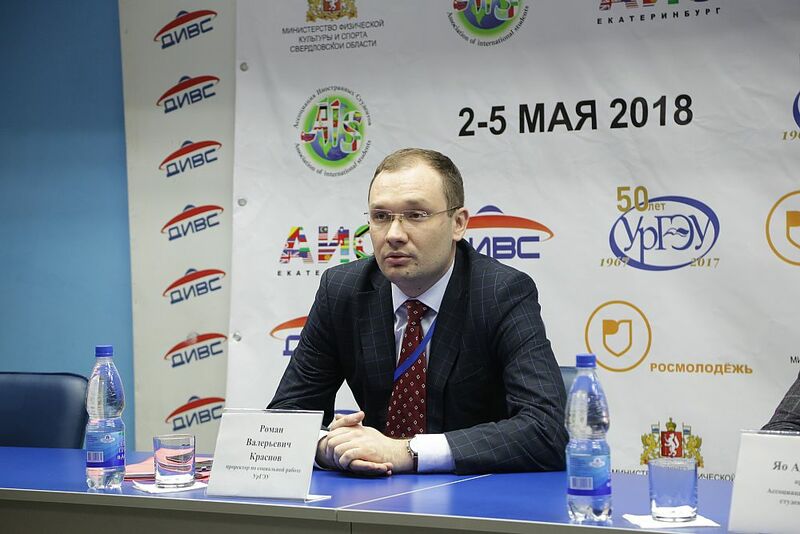 The moderator of the press conference was the USUE Vice-Rector for social work Roman Krasnov. 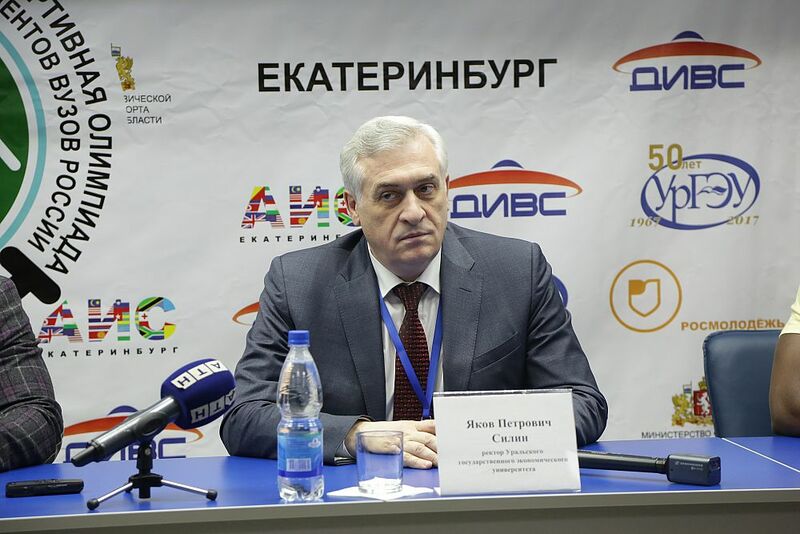 Yakov Silin told reporters how the preparation for the Olympiad was arranged: "We understood that if we want to train foreign students and increase their number, we need to develop sports facilities. We found out what the requirements of AIS are, and started developing sport infrastructure. Last year, we built an open-air sports complex with a mini football field, a run track, a volleyball court, a workout zone, and a trim trail. We equipped gyms in dormitories, reconstructed a sports complex of the University, created our own fitness center for students and teachers. AIS has appreciated our readiness and aspiration. All this resulted in our favor. " The president of the Association of International Students in Russia Adu Yaw Nikez justified the choice of the site for holding the Olympiad in Yekaterinburg: "Firstly, the AIS branch is located at USUE. Many times I visited Yekaterinburg: this is a city with a developed infrastructure. Secondly, I know this university, and we did not doubt that USUE would hold the event at a high level. Our choice is 100% justified. " Besides, Adu Yaw Nikez estimated the chances of winning the teams from different countries. "I know that USUE football players were repeatedly champions at the local level, and the winners of past events of this level take part in this Olympiad. That's why I think that the chances of all are equal. This is sport, let the strongest win. The Olympiad is important because people come from different continents. It is necessary to give a chance to students to show themselves not only in studies but also in sports, in science, and in culture. Our task is to create good conditions for staying in Russia. Everybody can represent his or her country with dignity ". 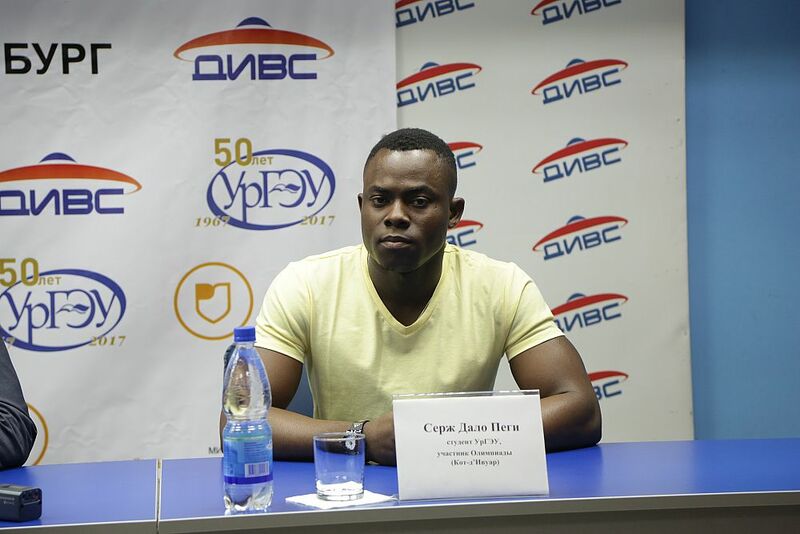 Serge Dalo Peguy, a USUE first-year student, represents Côte d'Ivoire. Serge participates in the Olympiad for the first time. He competes in checkers. “Checkers train memory, increase concentration, so I think this is a very useful sport. I downloaded a special application in the form of a game on the phone and, when it was time after studies, I played to train and hone skills for competitions," the student says. He added that playing checkers is very popular in Africa. 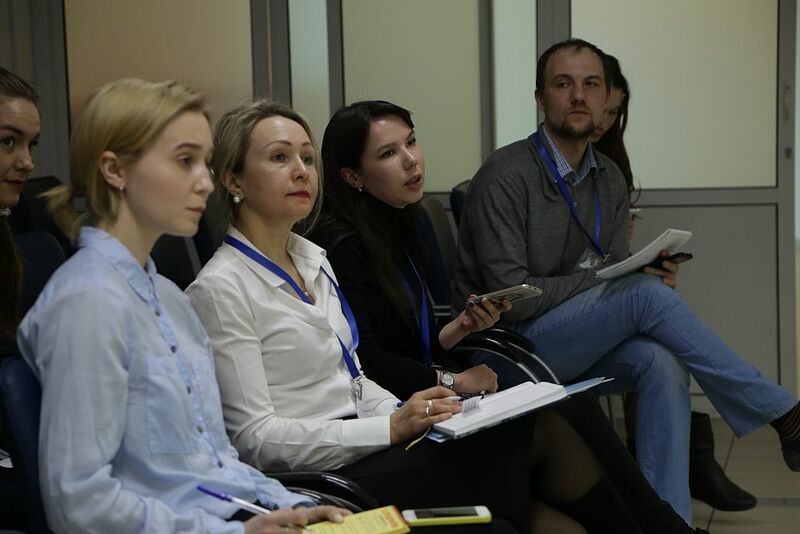 Continuing the topic, the journalists asked the Rector about the proposal of Anatoly Karpov, a world chess champion, to open the Department of Chess Art at USUE. Yakov Silin told about what steps were taken for this. "Why is it important for us? Graduates of an economic university are analysts, people who, when assessing the situation, should look several moves ahead. 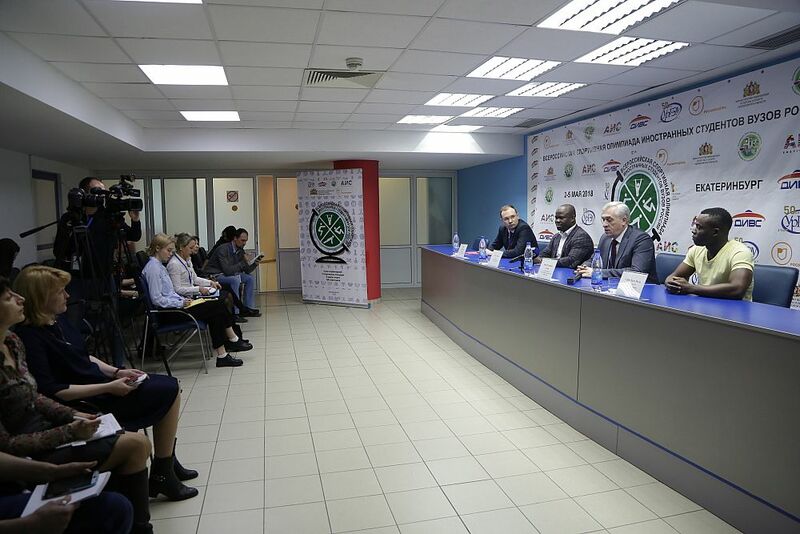 Anatoly Karpov said that he was ready to help us in establishing the department. We discussed this problem with well-known chess players and now we continue the preparatory work. It is planned to establish a Department of Chess Art and Economic Analytics ". 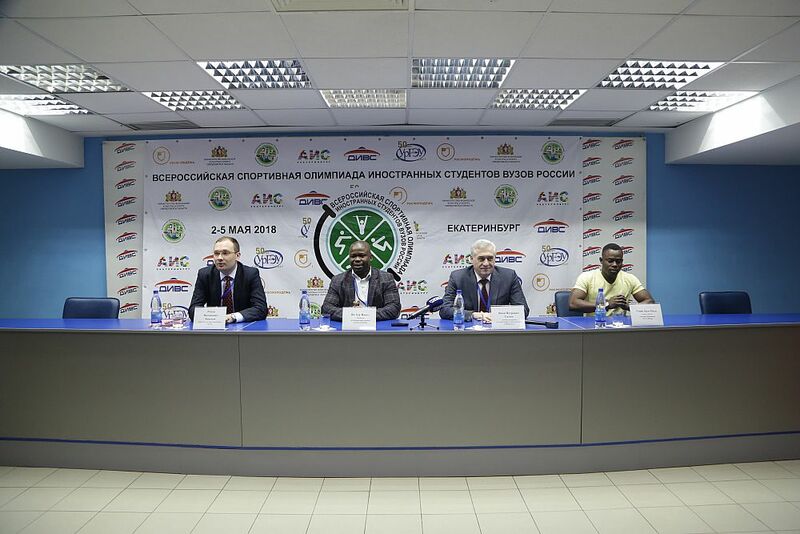 At the press conference it was noted that a large number of universities had applied for the Olympiad. “We would like universities to prepare in advance, form teams, plan this work, to prepare to the Olympiad more thoroughly. 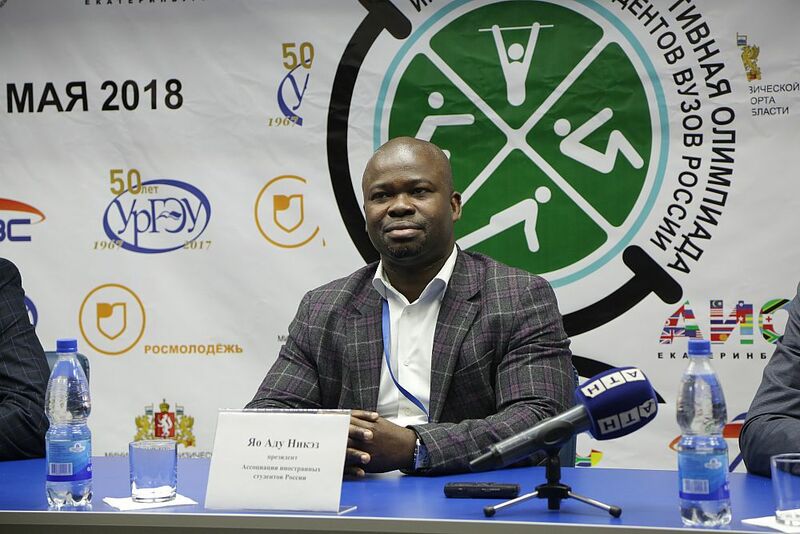 Our task is to cultivate a wide range of sports that the students would be engaged in when studying at the university," Yakov Silin said. 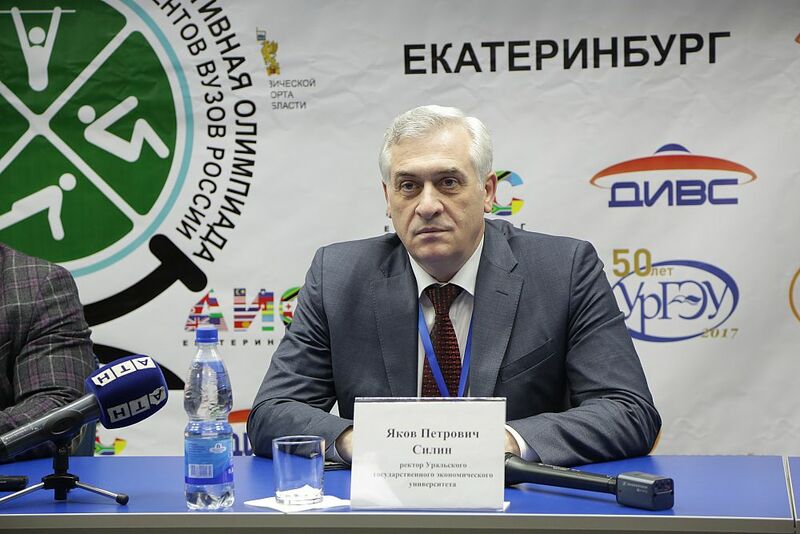 The Rector also added, "We want to show the world the ability and readiness of Yekaterinburg to receive EXPO-2025. The city has the entire necessary infrastructure for this. 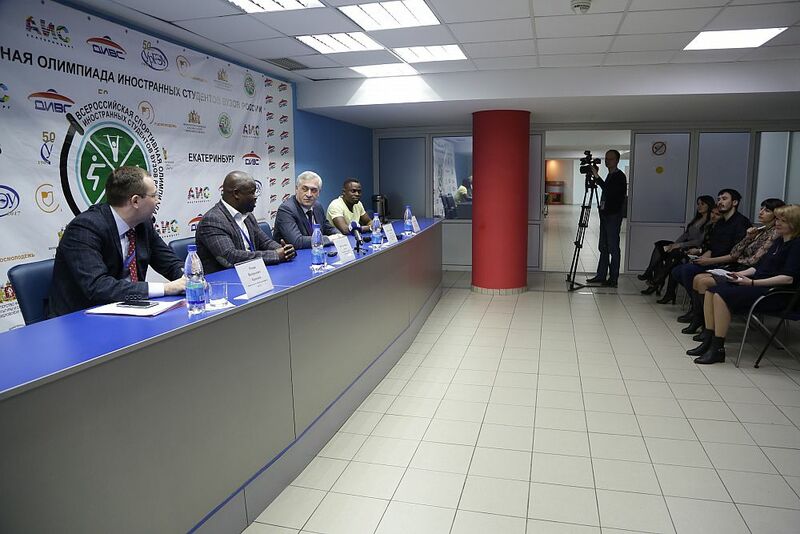 We would like to host world-class forums, from sports Olympiads to the World EXPO-2025.A big way starts with one step. "